Courtesy of Cleopatra Records Inc.
Boring at first but gets so much better. 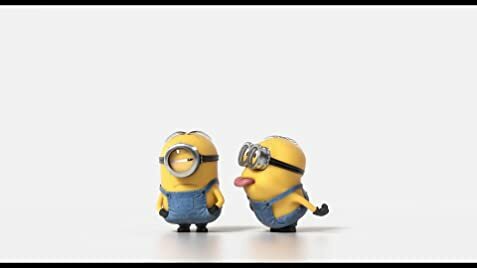 I saw Minions the day it came out and there are some things I I love about this film but at the same time I do have some issues with it. 1. 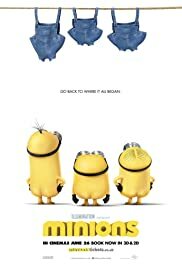 It was really good to see something focusing on the Minions. Audiences for a long time have wanted to see something revolving around them and when we got it, there was no disappointment. 2. Scarlet Overkill acts and sounds like a Bond movie villain but for a kids movie. Which as a fan of James Bond films, I loved very much. 3.The British stereotypes in this film are brilliant and just downright hilarious, and mind you this is coming from a British guy himself. It also felt like they were poking fun at the stereotypes as well. 1. The film takes about 20 minutes to get underway. I honestly thought I was going to hate this film at first but the moment the Minions get to Villain Con then things improve drastically. 2. It's obvious that quite a lot of the jokes in the movie are aimed at children. This annoyed me at some points but there were also jokes and not just funny but hilarious scenes in there for everyone to enjoy as well.